This is where I broke. This is perfect and utterly heartbreaking and omg so much truth! I love how their words, as few as they always are, carry a lot of weight. meaning. sometimes more than one. They were never meant to be children. Tears. And so true that its tragic. I think, Harry and Hermione especially didnt get to have a childhood. 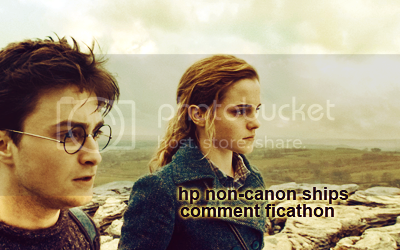 Harry, for obvious reasons, and Hermione since she slipped way too early into the mother-hen role. Your words are too kind. I'm glad you liked it... I was worried I couldn't do it justice cos these effing kids just make me all IDEK... I get very flaily and can't ever sentence properly. It's been about two weeks since I've seen the movie and I still have those same indescribable ~feelings~! *sigh* So thank you for contributing to allow the proper release for all of that. You rule!